Adamolekun gave five examples of over-centralisation, namely, the Universal Basic Education programme; the establishment and operations of the unity secondary schools; the centralisation of the labour unions; the establishment of the National Universities Commission with its centralising functions; and the allocation of the lion’s share of the nation’s resources to the Federal Government. Adamolekun rightly traced these developments to over 30 years of military dictatorship, which began its stranglehold on the nation’s universities by federalising erstwhile regional universities. Today, however, perhaps the most controversial centralising agency is the Joint Admissions and Matriculation Board, empowered to conduct the Unified Tertiary Matriculation Examinations and oversee university admission. Enough controversy was generated recently between the Director of JAMB, Professor Dibu Ojerinde, and the Minister of Education, Adamu Adamu, to send significant ripples through the university system. There are three knotty issues. First, who or which institution should admit students to the university? It normally should be the Senate of the university, which often delegates the authority of processing the necessary papers to the admissions office located within the Academic Affairs Unit in the Vice-Chancellor’s office. That was the case when I was admitted to the university. Today, however, JAMB has taken over this function, while the admission offices of the various public universities are being used as clearing houses. After weeks of controversy as to how this function should be performed, Ojerinde issued this clarification recently: “The public and all tertiary institutions should note that admission will only be approved by the board after appropriate screening of the candidates by the institutions”. Yet, the Education minister still believes that this does not “in any way affect the statutory role of the Senate of any university or the academic boards of any tertiary institution conducting its admissions.” It would appear that what the minister understands as the role of the Senate is reduced to shortlisting. According to him, the universities will shortlist the candidates, using the agreed guidelines and return the shortlisted candidates to JAMB for verification of compliance to the guidelines. JAMB will subsequently issue admission letters to the shortlisted candidates. The said guidelines appear to be the minister’s main target and it is the second knotty issue. According to him, the admission exercise rests on the tripod of merit, catchment area and educationally disadvantaged states. The last two criteria are intended to trump merit so that low-scoring students from particular localities or states could be admitted. This is not only an affront to the Senate’s ability to control standards in its admission; it also questions the business of the Federal Government in the admission of students to state universities. What should my state government care about admitting low-scoring students from another state because that state is educationally disadvantaged? How is educational disadvantage measured and who measures it? Wasn’t this kind of admission policy the killer of the unity secondary schools, where standards plummeted because many under-performing students were admitted? The third and final knotty issue is university autonomy. 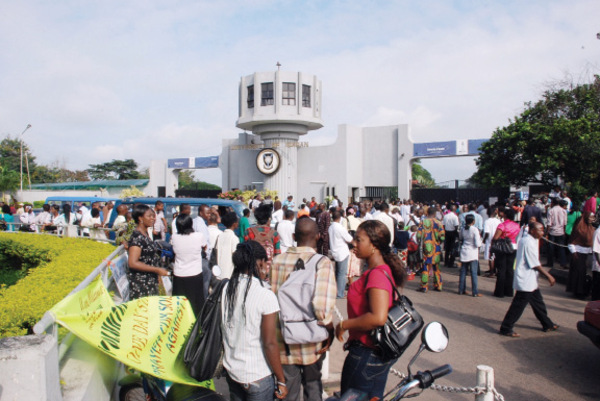 The Federal Government and two of its agencies, namely, JAMB and the National Universities Commission, have killed whatever is left of university autonomy. The truth is that it is JAMB which admits students, while the NUC regulates everything else from the accreditation of courses to curriculum guidelines and the classification of degrees. The Federal Government completes the process by appointing Council members and ratifying the appointment of Vice-Chancellors. Little wonder many a Vice-Chancellor spends substantial time in Abuja these days. To the extent that Nigerian universities are run like extensions of the ministry of education, to that extent will they continue to rot away like that ministry where there is neither institutional memory nor policy consistency. True, this problem is not peculiar to the administration of President Muhammadu Buhari. Nevertheless, there are genuine concerns that his administration has yet to have a grasp on education. This university admission is the administration’s second major foray into education. The first, the school feeding programme, has yet to take off. With the lacklustre handling of this year’s admission procedure so far, it is unclear what the future of education holds in the administration. Certainly, the present Minister of Education has yet to begin the bend in his learning curve.